The Getty Conservation Institute has been releasing a series of amazing photo history books and this fabulous recent addition by Lavédrine and Gandolfo is no exception. This edition was translated into English by John McElhone and released in December 2013. I believe it was created from the pages of the French book L’autochrome Lumière : Secrets d’atelier et défis industrials which was released in 2009. 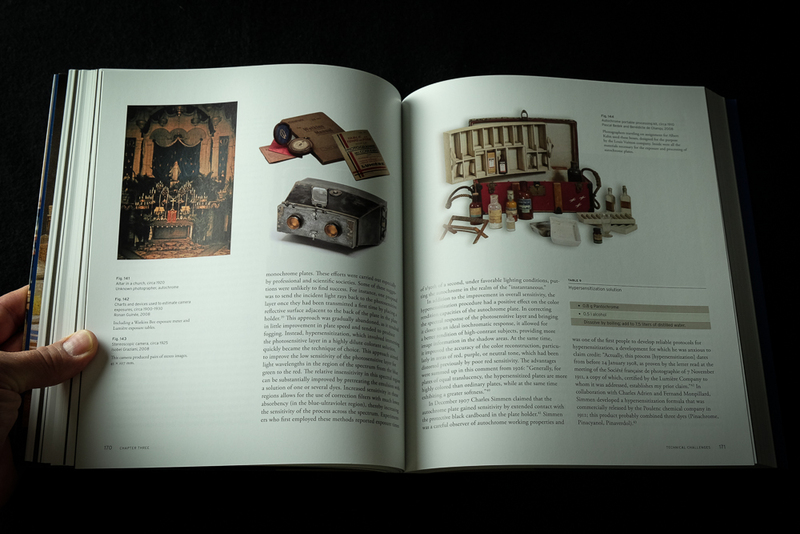 This book belongs on the shelf of any serious photographer, curator, maker, or history buff. It’s a fabulously interesting read filled with quality information and wonderful photographs and images. 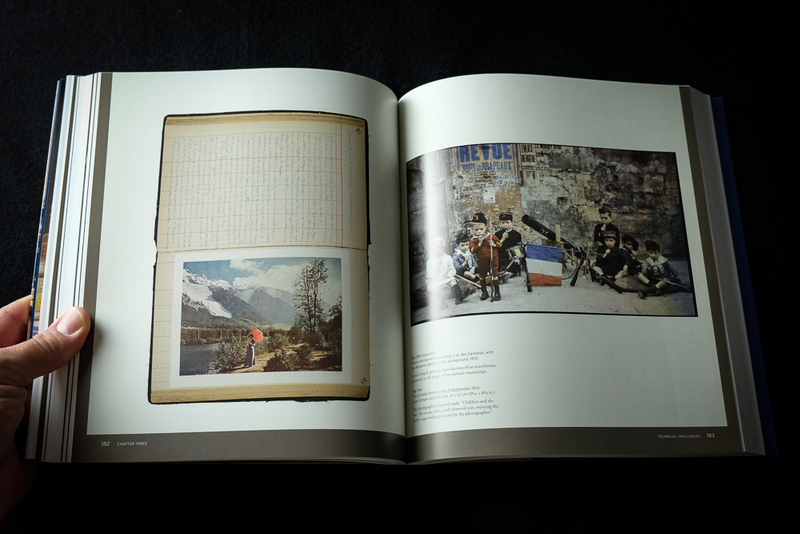 The book tells the story of the first commercially mass-produced form of color photography. 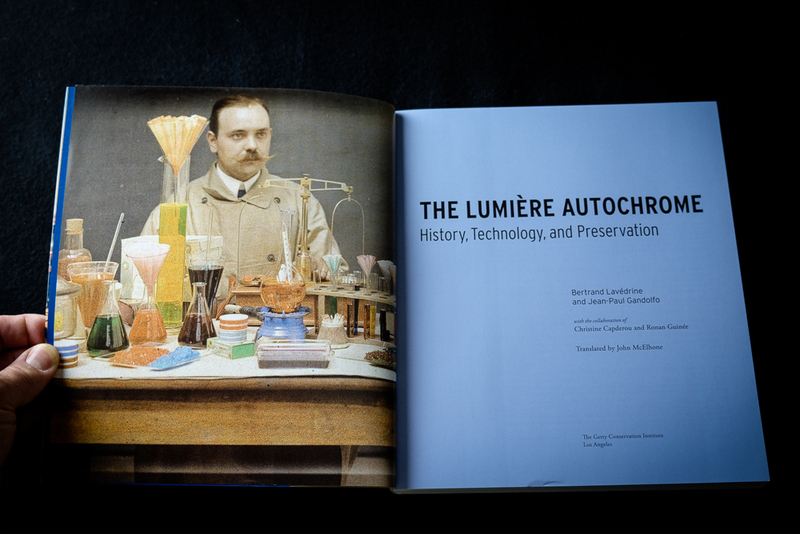 It begins with a a discussion of the Lumiere family through present day conservation. 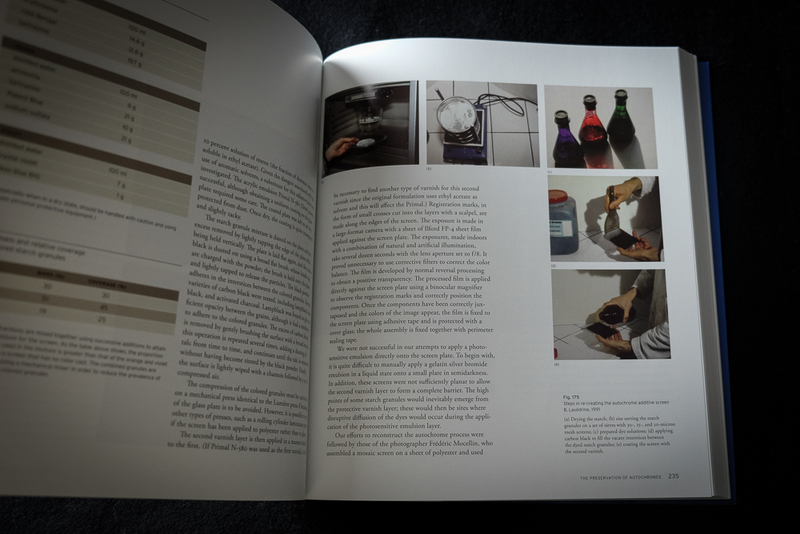 It also includes extensive information about attempts to recreate the process – of particular interest for those makers interested in creating their own plates are the notes and formula that were used in 1991 when several individuals worked to create new, handmade autochrome plates. 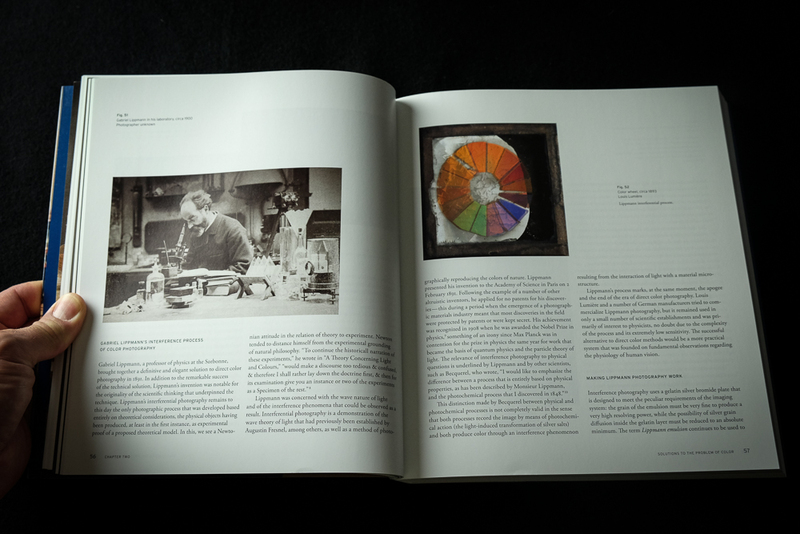 The above pages discuss Lippmann and his work creating the Lippmann Interference Process of color photography. 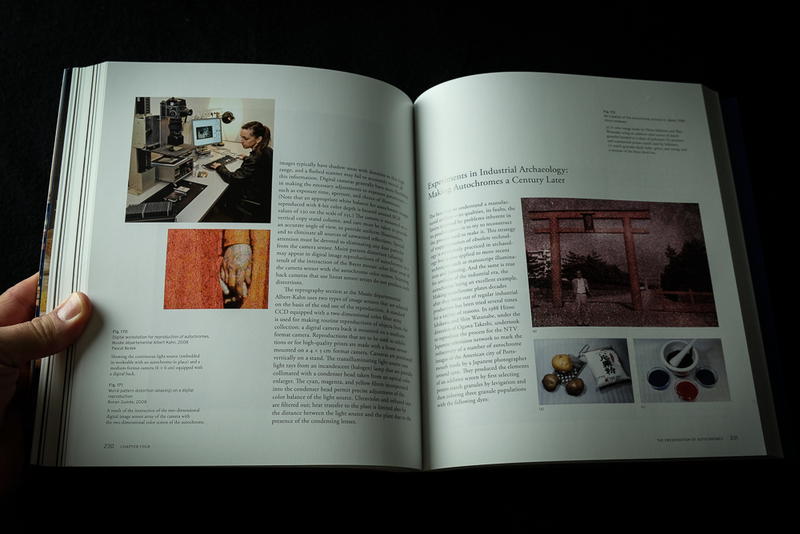 The volume is very well illustrated and filled with interesting photographs, illustrations, and charts/graphs. Above right is a wonderful Autochrome Portable Processing kit circa 1910. 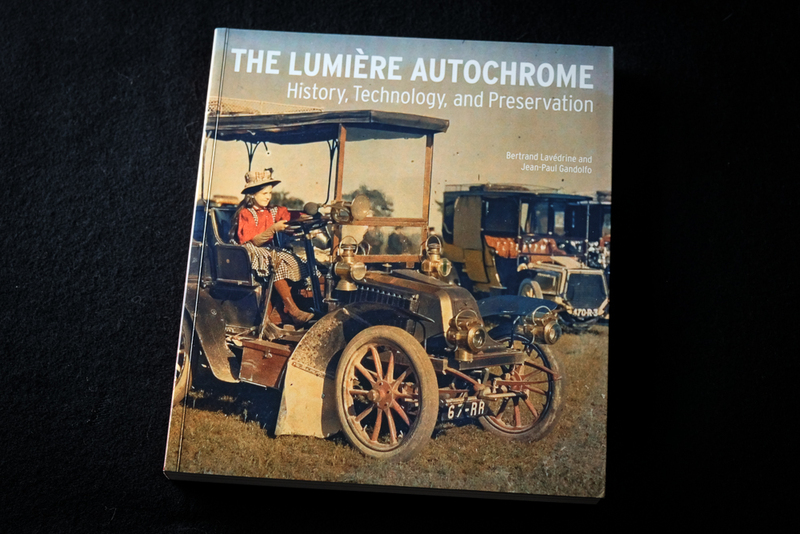 It contains many color autochrome plates (many from Albert Kahn’s Archive of the Planet project) as well as very clear and readable photographs of Lumière hand-written notebooks. There’s an entire section devoted to “Experiments in Industrial Archaeology” or how several people have recently worked to create handmade, contemporary autochrome plates. On the left of the image below is a formula for each of the colors and on the right are a few process photographs. 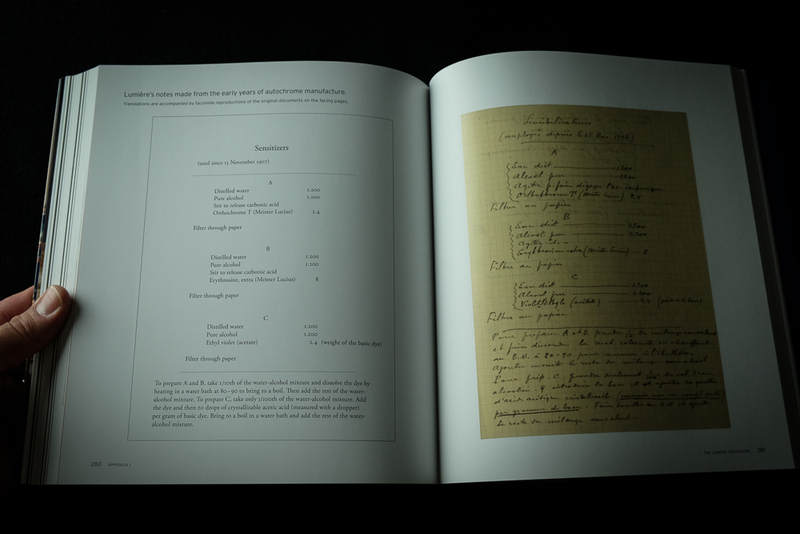 Appendix 1 has many photographs of Lumière notebooks as well as a facing pages with english translation. 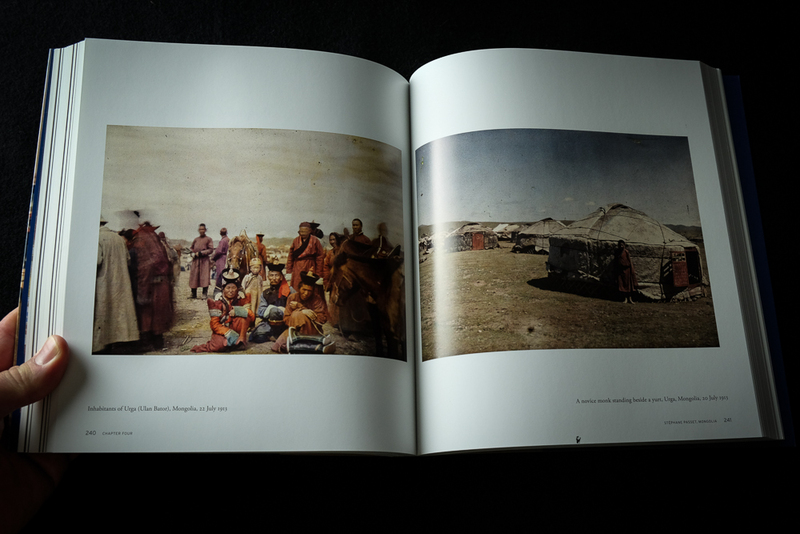 And, of course, the book contains many wonderful autochrome images. Read more about this volume on Amazon.